With apologies to Bob Dole, where’s the outrage over President Barack Obama’s mishandling of the Gulf Coast Oil Spill? The very next sentence then demands a commitment to “end offshore oil drilling.” So we’ve got vague concern about the spill followed by concrete prohibitions on an entire field of energy development. At least the Sierra Club knows its priorities. This, amid reporting form the New York Times that 10 days after 210,000 gallons of oil a day began flooding the Gulf, the Obama White House is just now starting to take a leadership role in managing the situation. Looking at its website, apparently PETA can’t be bothered even to feign outrage over a supposedly Environmentalist President’s failure to spring into action on behalf of higher life forms like river otters and nesting pelicans. How telling that for an issue that really is an emergency in need of comprehensive federal intervention, the Left can’t seem to wrest its attention away from comparatively academic discussions about cap-and-trade, and reasonably suspicious immigrants. The end of George Bush’s presidency began when his advisors misread the impact of Hurricane Katrina on the national consciousness. Now, it looks like Obama is getting another pass from allies whilst he reprises his role as Ditherer-in-Chief. Unfortunately, red flag waving organizations won’t be trying to disrupt local economies by staging walk-outs and marches on a work day. This year, Communism’s “May Day” celebration falls on a Saturday, meaning that instead of counter-demonstrators shopping en masse to keep business profits high, the only reason to venture outside tomorrow will be to enjoy the virtual shutdown of urban life. The Los Angeles Police Department is planning for up to 100,000 people to turn the annual march for grievance solidarity into a traffic congesting protest of Arizona’s new immigration law. One wonders what organizers hope to accomplish since the LAPD has an illegal immigrant policy called Special 40 “which prohibits officers from initiating action against people solely to discover their legal status.” Moreover, L.A. was the first to proclaim itself a “sanctuary city,” further complicating the logic for protesting another state’s law in a town that totally disagrees with it. Since the only discernable economic winner in tomorrow’s L.A. area protests is the LAPD police union members who must be activated in order to monitor the participants, maybe this year’s “May Day” is serving a purpose after all: enriching a public employee union on the weekend. In this week’s Freedom Minute, CFIF’s Renee Giachino discusses the fiscal shell game being played by Washington politicians and how they must come clean on how our taxpayer dollars are being spent. Pardon our John Kerry-accented French, but who the hell does Barack Obama think he is? Somewhere, Joe the Plumber must be shaking his head over a cold beer and sighing, “I tried to warn you.” It’s too bad that more people didn’t heed his warning after Obama suggested that we “spread the wealth around” during the 2008 campaign, but there’s always the opportunity for a “do over” in November 2010 and 2012. 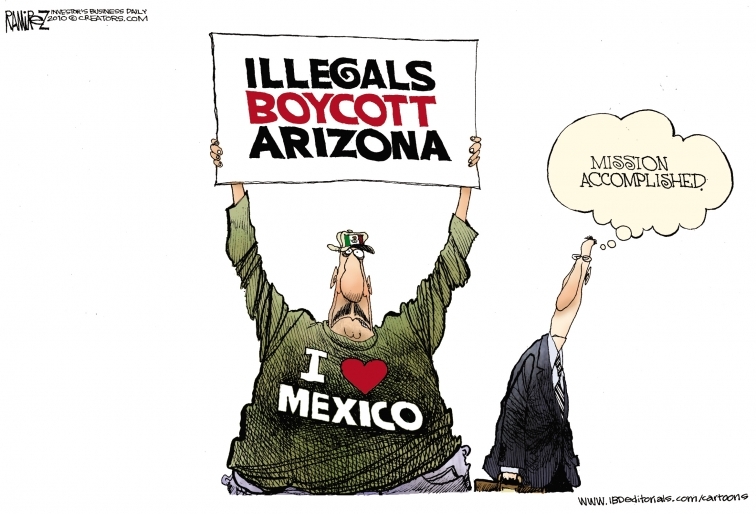 Pulitzer Prize-winning cartoonist Michael Ramirez on the Arizona immigration enforcement law. Ever wonder how losing presidential campaigns pay off their bills, and keep staff afloat? Well, Kenneth P. Vogel and Laura Rozen at Politico provide a detailed summary of how the myriad of organizations connected to Hillary Clinton’s political career are paying down her debts. It can take years for big campaign committees — particularly presidential ones — to wind down operations, settle outstanding bills and deal with sometimes costly legal issues, all of which requires committees to keep cash in the bank. Clinton’s campaign finished the presidential race in bad shape, carrying an embarrassing $7.6 million in debt that could have hampered any future political maneuverings. But a report filed this month with the FEC shows that at the end of March, Clinton’s presidential campaign had paid back all but $771,000 of that debt (which is still owed to her presidential campaign pollster Mark Penn), and had an impressive $624,000 in the bank, thanks mostly to hefty rental fees paid by No Limits and other groups to rent Clinton’s e-mail list since she became the nation’s top diplomat last year. No doubt Clinton’s name recognition and multi-decade career in the national spotlight give her loyalists access to financial resources that few other politicians could tap. Too bad the donors eliminating Clinton’s debt aren’t matching those contributions with extra donations to the Treasury Department to help soften the impact of her boss’s spending spree. 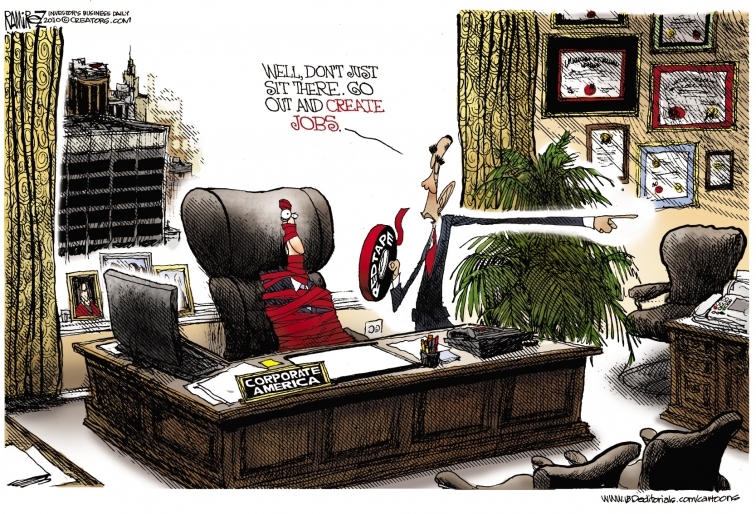 IRS Not Powerful Enough to Enforce Health Insurance Mandate? Apparently, that’s the case since the current version of ObamaCare doesn’t allow the IRS to exercise its usual methods of coercing compliance, like imposing tax liens or levies, seizing property or seeking jail time against delinquent taxpayers. But don’t rest too easy. Since health care is now a federal “right,” you can bet on the good folks in Washington, D.C., conjuring up amendments to guarantee that you and every other American citizen will enjoy it to the fullest extent the law requires. What’s the Perfect Title for a Film About Public Education in America? On May 18th, voters in Pennsylvania’s 12th congressional district will select someone other than the late John Murtha to represent them in Washington, D.C. According to Newt Gingrich, it should be Republican businessman Tim Burns. Burns and his Democratic opponent Mark Critz are subjects in a profile I wrote for CFIF here. Though I discuss a different aspect of the campaign than Gingrich, I agree with his analysis that a center-left Democrat like Critz will find it nearly impossible to balance the need for far Left campaign cash with his district’s moderate-to-conservative leanings. This will be a very bad year for Blue Dog Democrats. When General Stanley McChrystal, the U.S. commander in Afghanistan, saw this slide in a PowerPoint presentation he said, “When we understand that slide, we’ll have won the war.” No wonder this is called “the long war”! Though this is an extreme version of the business school mentality infecting military strategy, some members of the top brass are banning PowerPoint. There is growing concern about the insiduous spread of PowerPoint which has come to dominate the lives of many junior officers. Dubbed the PowerPoint Rangers, they spend hours slaving away on slides to illustrate every Afghan scenario. Lieutenant Sam Nuxoll, a platoon leader posted in Iraq, told military website Company Command how he spent most of his time making PowerPoint presentations. ‘I have to make a storyboard complete with digital pictures, diagrams and text summaries on just about anything that happens,’ he added. Why is it that defenders of the Big Labor agenda never seem to engage in honest, straightforward, factual debate? 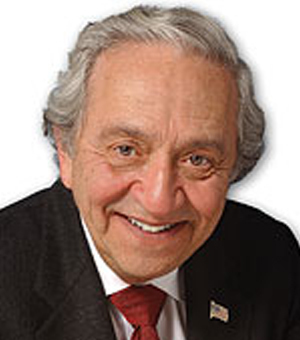 Washington Post columnist Harold Myerson provides the latest illustration in his commentary today. Myerson carries Big Labor’s water by arguing that FedEx, which is a longtime target of Big Labor’s ire due to its failure to capitulate to union campaigns, should be regulated in the same way as more heavily-unionized UPS. UPS falls under the National Labor Relations Act (NLRA), whereas FedEx falls under the Railway Labor Act (RLA). Approximately 85% of FedEx parcels are shipped by air, whereas UPS delivers 85% of its packages locally via truck. That makes FedEx subject to the RLA, and UPS to the NLRA, which Congress specifically determined. But Myerson, unsurprisingly, avoids mentioning this critical distinction in his column. As one predictable consequence of UPS’s NLRA classification, it was brutalized by a costly 1997 strike. So now, UPS, Congressional liberals and Big Labor seek to cripple FedEx by shoehorning it into the same classification as UPS. UPS seems to follow the adage “if you can’t beat ’em, unionize ’em,” but it would be nice if Big Labor and its apologists could at least argue honestly once in a while. 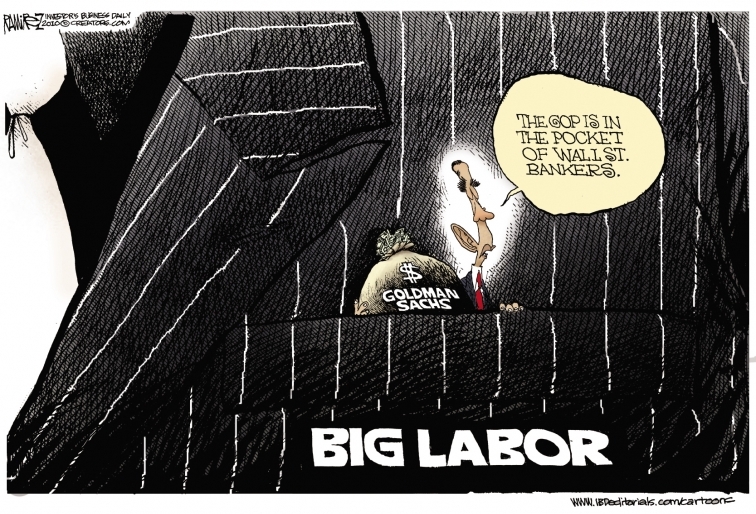 Below is one of the latest cartoons from Pulitzer Prize-winner Michael Ramirez. RIDGWAY — Residents of this Old West- meets-New Age town can be fined if their fences are too high, they have too many chickens, their dogs aren’t on leashes or their weeds are out of control. Tom Hennessy would like to add not voting to that list. Hennessy, a popular Ridgway brewer and pub owner, is proposing that the mostly dirt-street town at the edge of the San Juan Mountains become a national model by enacting a mandatory-voting statute. Residents who don’t bother to vote, for no good reason, would be fined. The piece later goes on to note that Ridgway’s last city election saw only 170 out of 790 registered voters go to the polls. (By the way, I’m not sure that “only” isn’t a bit of a stolen base. Voter turnout of a little over 21 percent in a standalone city election doesn’t strike me as aberrantly low). I never cease to be amazed by those who think that the key to strengthening democracy is to compel those too apathetic to drive to their polling places to vote (George Will has applied this same principle in criticizing the use of mail-in ballots). Not only that, the decision not to vote can be just as much of a political statement as heading to the polls — one of either contenment or resentment. One of the inherent virtues of particpatory democracy is that it is disporportionately shaped by those who actually … you know, participate. Thus, the folks in Ridgway would do well not to fix something that isn’t broken. In other words, Obama pointlessly heaped almost $1 trillion more upon our nation’s unsustainable debt to be repaid via some toxic combination of future borrowing and higher taxes. 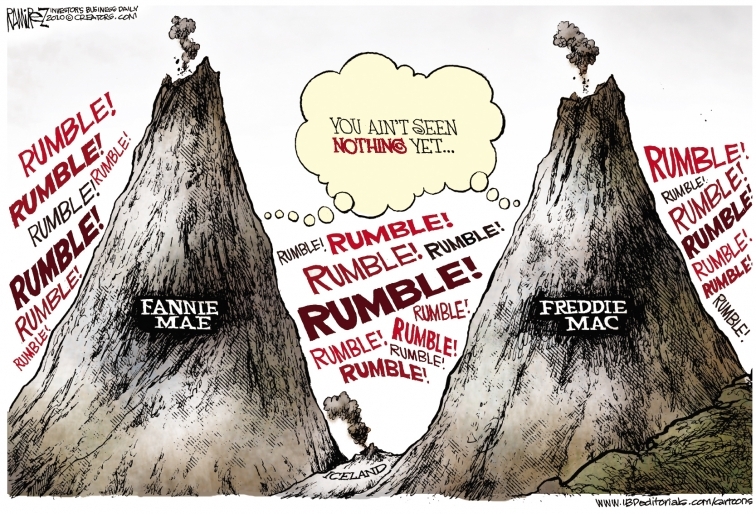 In pushing that “stimulus,” he promised that it would keep unemployment under 8%, but unemployment continues to fester at 10% and economists say that the “stimulus” had no effect on employment or the natural cyclical recovery. At least Senate Majority Leader Harry Reid (D-NV) is signaling an overall legislative strategy: Get (Me) Reelected! According to Byron York’s reporting, Lindsey Graham (R-SC) was “fuming” when he was double-crossed by Reid’s decision to gin up the Hispanic vote in Nevada to increase their turnout for his ailing reelection campaign. The move had the consequence of booting Graham’s carefully crafted energy bill off the Senate’s table for the foreseeable future. Hopefully, after the health care deem-and-scheme travesty and now this personal affront, Senator Graham will learn something the rest of us surmised about Washington’s Democratic leadership from the beginning: there are no honest brokers leading the party today. Forget that at your peril. The following is a video President Barack Obama issued through the Democratic National Committee to rally support for Democrats in the 2010 mid-terms. Interview with foreign policy expert Bruce Herschensohn, a professor at Pepperdine University’s School of Public Policy and member of CFIF’s Board of Directors, about his latest book, An American Amnesia: How the U.S. Congress Forced the Surrenders of South Vietnam and Cambodia, and the danger of succumbing to a similar voluntary amnesia in the future.